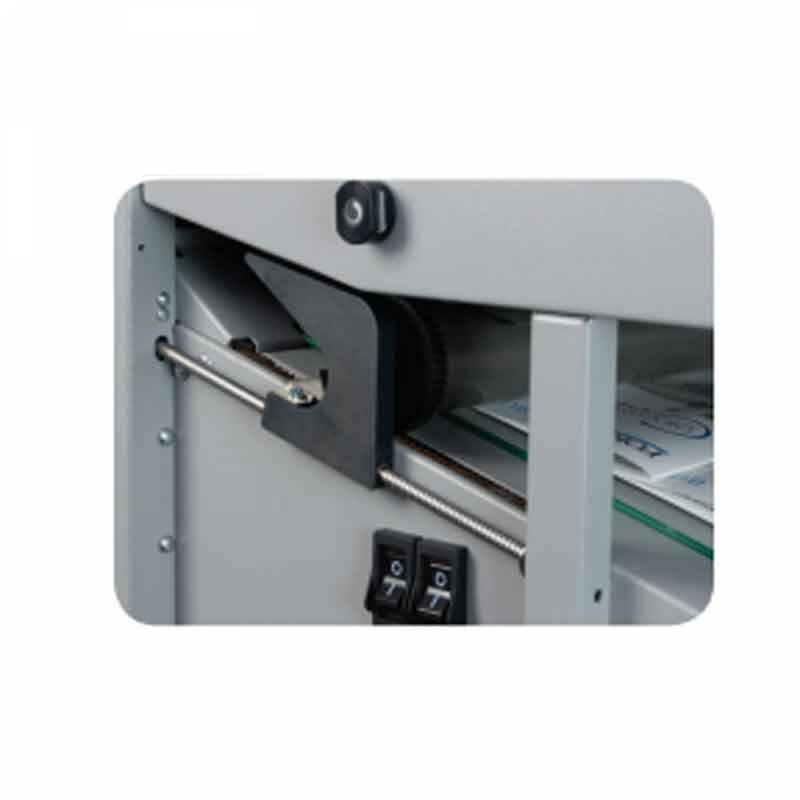 The Formax ATLAS-AS Air-Feed Document Folder saves time and money. 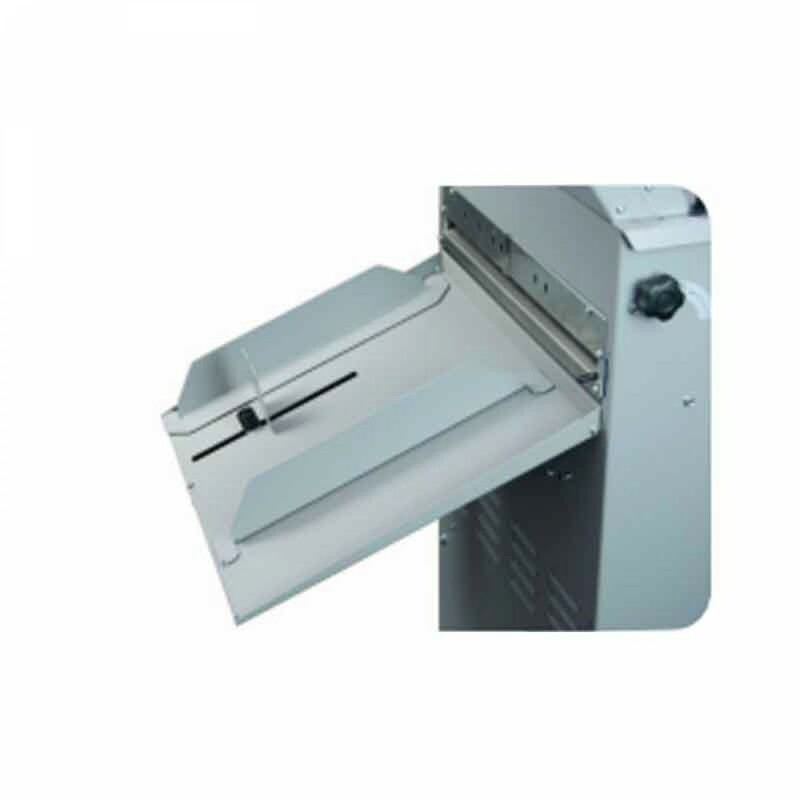 The Air-Feed Document Folder combines high-volume output with user-friendly features in a rugged, small footprint. With variable speed control, it can process up to 27,500 sheets per hour. Its 7" full-color touchscreen control panel allows operators to set up jobs easily and to program an unlimited number of jobs into memory. Fully-enclosed fold plates feature dials to select fold plate position and LED displays accurate to 0.1mm. 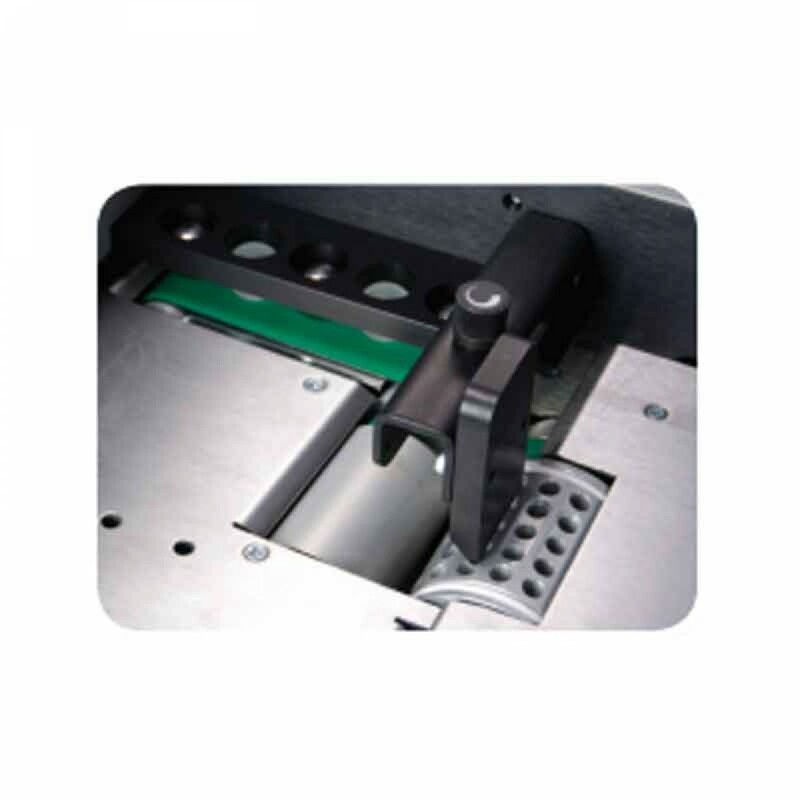 The fold rollers are made of a durable composite material designed to easily grip high-gloss paper, and are housed in a single patented pull-out cassette. The powerful air suction feed table handles a wide variety of coated or non-coated stock, up to 26.5" in length, and aligns the sheets prior to folding. It also features a suction chamber to control curled or statically charged paper. 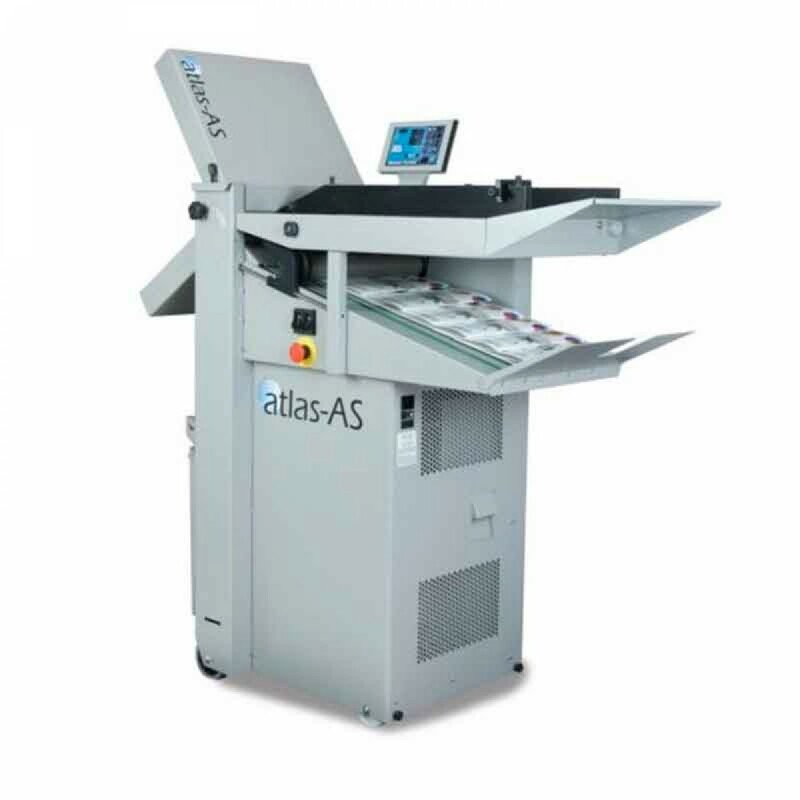 Standard features include a modular perforator/scorer which can also be used as a roller bypass, allowing cover stock to be folded and output flat. The belt-driven outfeed stacker is located on the same side as the infeed, allowing operators to easily operate the Atlas-AS from a single position. Double document and jam detection, batch counting, anti-static brushes, skew and micro adjustments complete the user-friendly package. The Atlas-AS Air-Feed Folder is ideal for those with big folding jobs and limited space. Powerful Air Suction Feed Table: Handles a variety of coated and non-coated stock, in a range of paper weights and sizes, up to 26.5" in length. 7" Color Touchscreen Control Panel: Program and make adjustments quickly and easily with graphics-based menus. Simple, Accurate Alignment : Squares and aligns sheets prior to feeding . 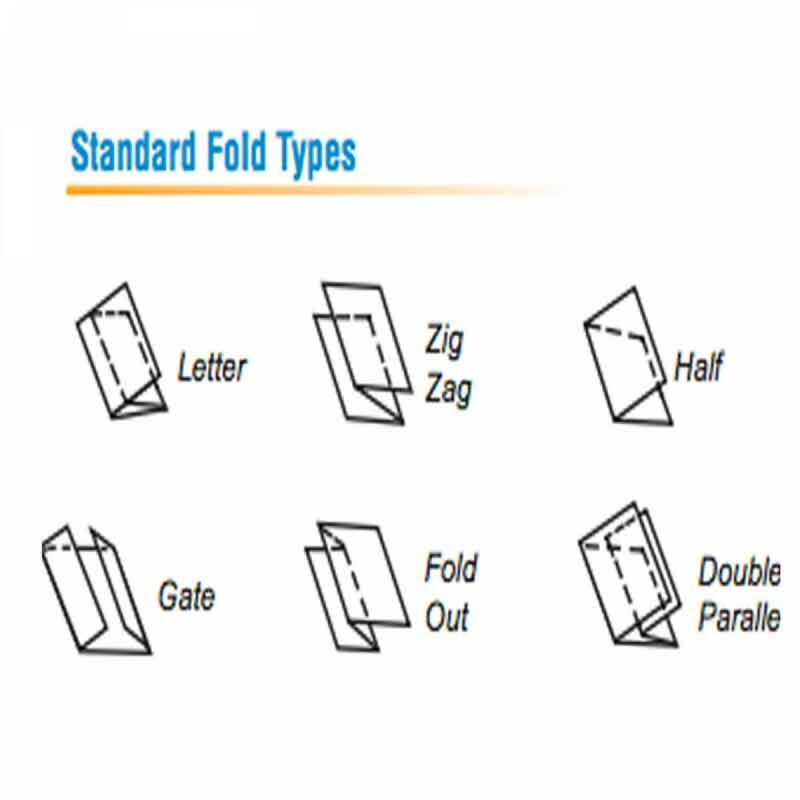 Six Standard Folds in Common Paper Sizes: Pre-programmed for 6 popular fold types in letter, legal and ledger paper sizes equalling 18 preset fold settings. Unlimited Custom Folds: Program and store an unlimited number of custom folds into memory . Easy-to-Use Fold Settings: Set and adjust folds using the 7" color touchscreen control panel. Durable Fold Rollers: Made of composite material designed to easily grip high-gloss paper, and are housed in a single patented pull-out cassette . Compact, Rugged Unit: High-volume, high-speed output in a small footprint. Perforating / Scoring: Easy-to-use plug-in perforator / scorer delivers finished pieces to a catch tray, and can also be used as a roller bypass, allowing cover stock to be folded and delivered flat. Anti-Static Brushes: Improves paper feeding.